← Need to know what version of VMware product relates to what build number? 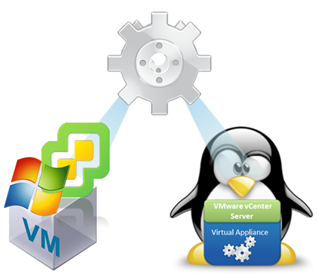 Anyways, one of the problems in the past was how would a customer go about migrating data from their old Windows-based vCenter Server onto the new Linux-based vCenter Server Appliance! Previously I’ve had to ensure that the customer was aware that moving to the appliance means they can’t migrate over their vCenter Server data – and the majority of the time they’re happy to bite the bullet and do a fresh install! Having used the Fling to migrate my lab vCenter Server to the appliance, I can say that it works pretty well! The Fling migrates the vCenter database, roles, permissions, privileges, certificates and inventory service… It even migrates events/tasks lists, folders, vApp settings and pretty much anything that’s stored in the VCDB! The only thing it didn’t do was migrate the SSO configurations which has to be setup manually (pretty simple to re-do). The new vCSA needs to have the same hostname and IP address of the old vCenter Server. Both vCenters have to be running the same version. Old vCenter Server must have all components installed on the same server. 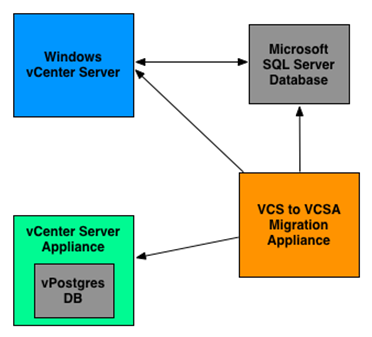 SQL Server database must be on a separate server to the vCenter Server and can’t be the integrated SQL Express. 3rd party plugins will not be migrated and may need to be re-configured. TBH, the one thing the documentation doesn’t mention is whether it migrates Distributed vSwitches, and having played around and used the Fling, I’m happy to say that it looks like it does as I could view and manage the dvSwitch on the vCSA after migration (although if I’m honest I haven’t delved into all the nitty-gritty configs you can do with a dVS). I found the process pretty simple to follow, deploy a vCSA, ensure it is configured with the same IP and hostname as the old vCenter Server, fire up the migration appliance and follow the wizard! Once this was sorted, the migration was quite pain-free……. this is one great Fling, and I hope they continue to work on it and enhance it!! Well done VMware engineers! !